The Retreat on Charleston Peak: Located just 45 minutes away from the Las Vegas Strip with a 20 degree difference, you can't go wrong heading up the hill. 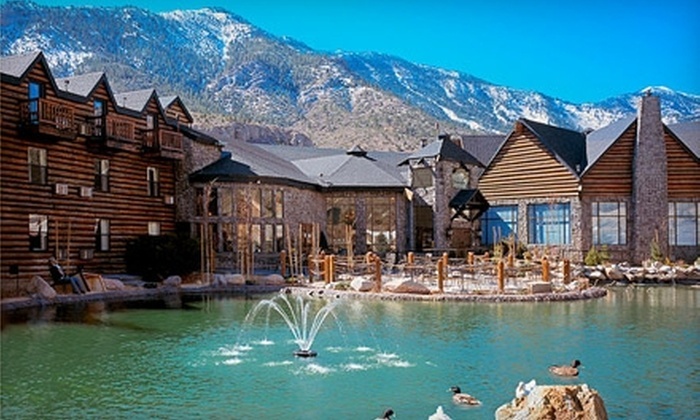 Located near the slopes, this Las Vegas hotel is in the mountains, 0.6 mi (1 km) from Red Rock Canyon National Conservation Area and close to winter activities such as cross-country skiing and snow tubing. Las Vegas Paiute Golf Resort and Las Vegas Paiute Golf Club Resort are also within 6 mi (10 km). After a day on the slopes, return to dine at the restaurant and drink at the bar/lounge. Additional amenities at The Retreat on Charleston Peak include ski passes and complimentary wireless Internet access. All 62 rooms offer free WiFi, pillowtop beds, and flat-screen TVs with satellite channels. Hair dryers, safes, and ironing boards are among the other amenities that guests will find.